Make a pig fly? Challenge Accepted! The newest Membership Bundle has arrived and is currently available through the end of April at AnimalJam.com/join! 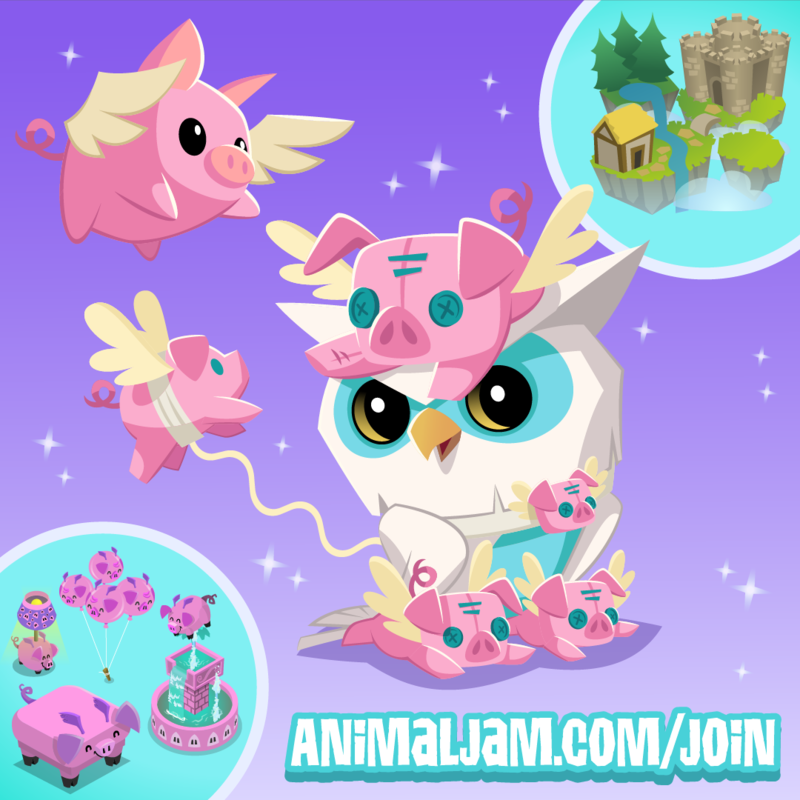 Not only does this membership bundle give you membership in Animal Jam and Play Wild but it give you early access to the Pet Flying Pig, the Owl animal, the Sky Kingdom Den, the new Flying Pig outfit and a set of Flying Pig den items!